IV heads have the neck and part of the shoulders/chest on the same model, so when the head moves around it doesn't become glitchy/have holes in it (the neck/shoulders stay static for this), however it doesn't have any of that on the shirt/clothing model, Fidox probably just added that to get the geometry/measurements and such right. Thanks, that's basically what I thought. Say, you know what this Tommy mod needs now? ...3D glasses. Why not throw in a cigar and call it a day? this is just awesome, don't screw up now like the previous guy said 3d models to hd can change their faces, i don't care about it as long as it has some resemblance to the original. the shirt is .... what to say, magnifantastic? I just discovered this now, and I must say that you have done an outstanding job, FidoX! Keep up the great work, I can't wait until he's complete! Or without his face looking like a monkey's. Monkey Vercetti, I think you remember me. Hahahaha yes xD but, do u like the mod? FidoX i will post links with credits to u! Damn, i love that song, rockstar would be doing a BIG mistake if they refuse a vice city remake like they did with san andreas in 5. BIG mistake, hint : *black english* " we ain't gonna be buying yo' games no more if y'all don't bring thangs to our needs. " nice video, but really horrible quality, seems you play it on the lowest settings possible, is your pc weak? Sorry, guys but I can't tell you when it's gonna be done and able to be released. I'm swamped with school stuff really. I didn't actually think this would happen. Anyways, looking good there, mate! We're getting married this saturday, you can choose the place and invite some people. On a side note, you're my new hero, it's amazing! Edited May 15, 2014 by Mega. Ah man, AMAZING! A little question. Can u in a future, make Toni Cipriani HD skin?? Would be fantastic, and nobody made it. Sorry if mi english is bad. Hope your answer! very bad bump map /\ work on that , the shirt should look "flat "
I just saw your release of the HD Claude skin for IV! Great work! I can't wait to put Tommy on the streets of Liberty City! Could you share the link to which mod you used to achieve that? The bump maps may be weird, but it's a good temporary substitute. Is his shirt normal mapped? Unless you really know what you're doing, ditch the normal map. It'll be fine without it, now it looks very off. I respect you for the time and effort you put into this project. 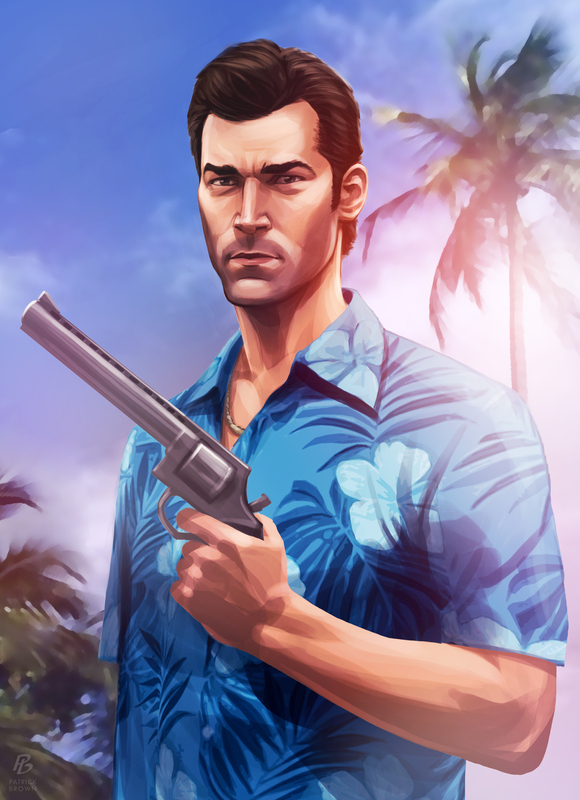 But can't you make it like the Tommy Vercetti artwork above? Looks much more cooler. He looks much more younger in the artwork pic. Please can you do that instead? Please? Just go find a Ray Liotta head and stick it on it. Oh no, that actually exists, someone converted his head from a COD game and sticked it into a shirt similar to Tommy's once. 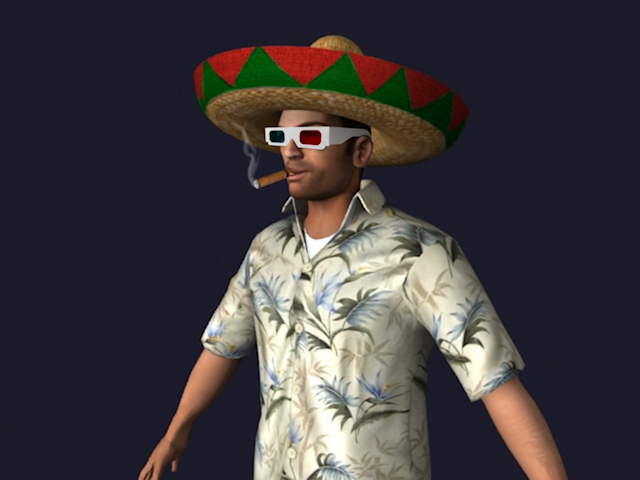 Do you have any plans on importing this mod and the HD Claude mod to GTA V when it's released on the PC? Sorry, I think I may have asked this already, but I can't remember. My bad guys Ive been away for awhile.. I didn't make that torso, ac.amir did a while ago. You can probably still find it on his blog.